Dana Johnson read from her collection of short stories "In the Not Quite Dark: Stories." Photo by Luis Garcia. Natashia Deon read passages from her book, "Grace," at the author reading hosted by the Northridge Creative Writers Circle. Photo by Luis Garcia. Waves crashed on a San Diego beach as a woman advised her niece on how to stay safe as a young woman at college. Minutes later, the scene shifted to the year 1848, where a pregnant, runaway slave had just started feeling labor pains while fleeing her captors. These dissimilar scenarios opened short stories written by authors Dana Johnson and Natashia Deón. Johnson and Deón visited California State University, Northridge to read from their most recent books, in the Whitsett Room. The event, hosted by the Northridge Creative Writers Circle, began with Johnson reading the first five pages of She Deserves Everything She Gets, a short story featured in her 2016 anthology In the Not Quite Dark: Stories. Deón followed with the introduction to her novel, Grace, also published in 2016. Both stories dealt with themes of race and inequity, written from a black female’s perspective. She Deserves Everything She Gets served as a meditation on the concerns, struggles and expectations imposed on women — while the narrator contrasted her pink-collar college experience in the ’80s with her young niece’s coddled lifestyle and relative naiveté. 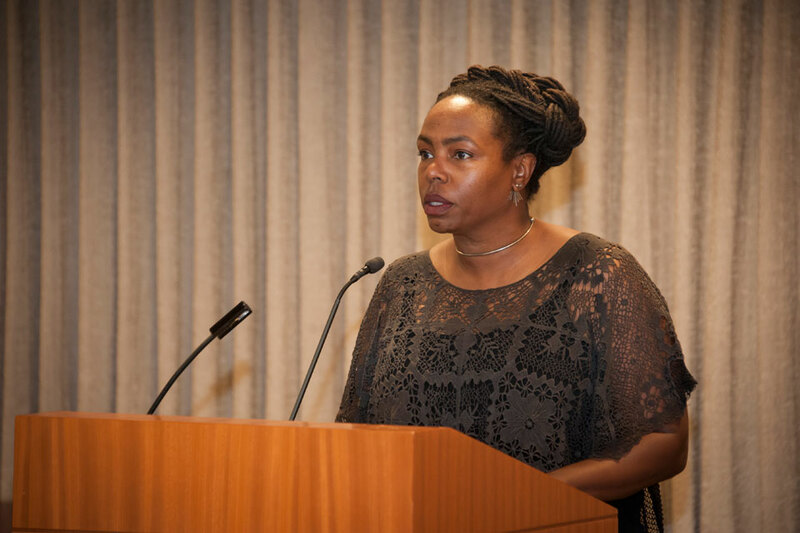 Johnson, a Los Angeles native who won the Flannery O’Connor Award for Short Fiction for her book Break Any Woman Down, elaborated on how her personal experiences influence her writing. Grace paints a markedly different portrait, set in the pre-Civil War Deep South. Its opening line, “I am dead,” exudes a curtain of sorrow that hangs over the tale of injustices during the American slavery era. A practicing attorney and law professor featured as one of Los Angeles’ “most fascinating people” by LA Weekly in 2013, Deón said the theme of justice is as prevalent in her writing as it is in her law career. The two works shared connections to real-world narratives about marginalized communities and individuals. Ilana Masad, a writer who reviewed In the Not Quite Dark for the Los Angeles Times and hosts The Other Stories Podcast, attended the reading and noted a possible link between the stories. 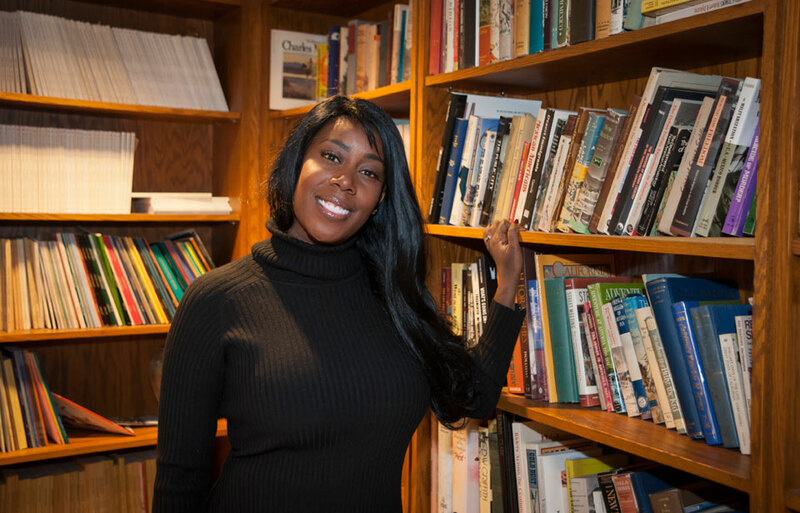 CSUN creative writing senior and Northridge Creative Writers Circle President Sunny Williams said she was moved by both writers’ abilities to bridge the racial divide with their storytelling. Grace and In the Not Quite Dark were available for purchase at the event, and both writers stayed to sign copies for attendees. Following the readings, the authors also fielded questions from an audience that included CSUN students, professors and community members. Queries ranged from each author’s inspirations to advice on conquering writer’s block. Johnson and Deón said they appreciated the receptive group of current and aspiring creative writers.